Today the sky was a rich blue; the tide was out. There was only the hint of a chill in the air, and Dumpton Gap was looking very appealing indeed. 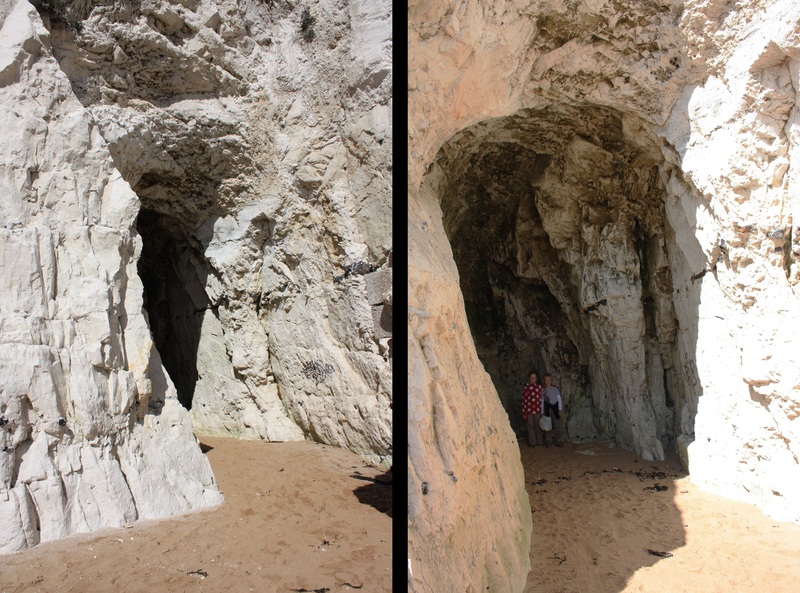 The chalk cliffs just to the south of Dumpton Gap are full of shallow caves, eroded by the sea over many years. Some are quite deep. Having investigated a cave or two, our children turned their attention to beachcombing. Whereas last week’s scavenging produced a hoard of crab and mussel shells, there were none of those to be seen here. 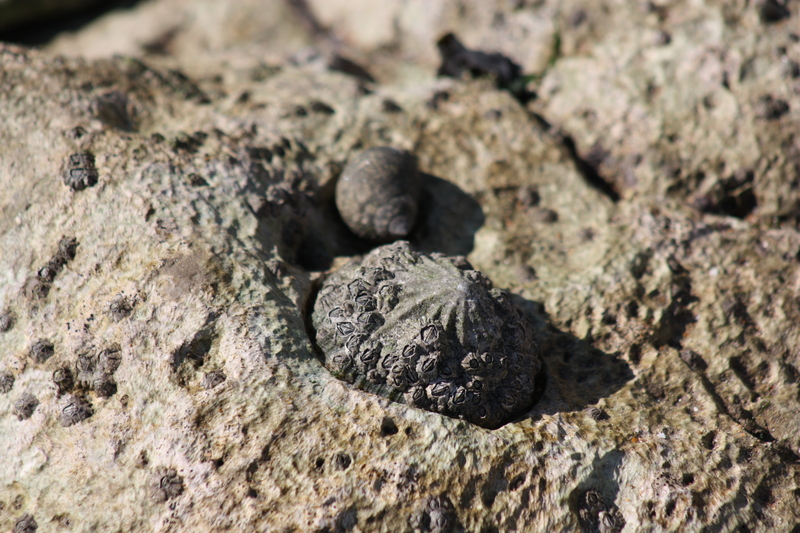 Instead, limpets ruled the rocks. A short time later we found a scar without a limpet. 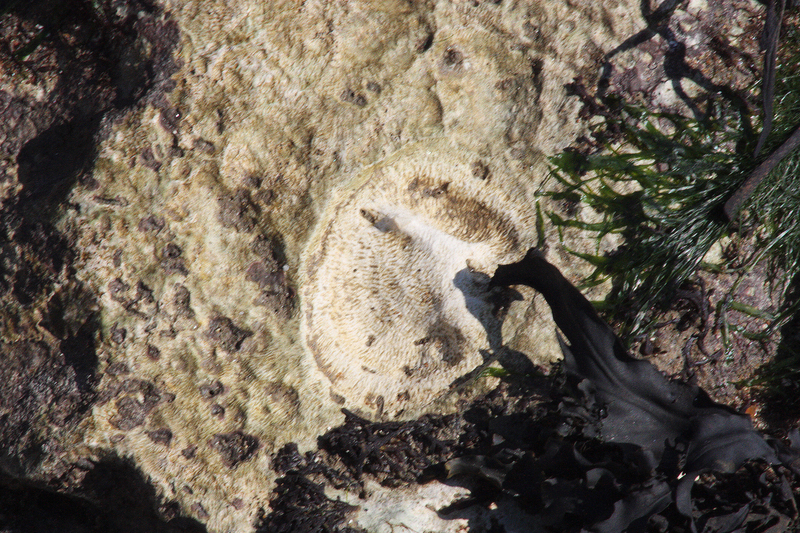 Presumably the limpet had died, leaving only a chiseled gravestone for its epitaph. 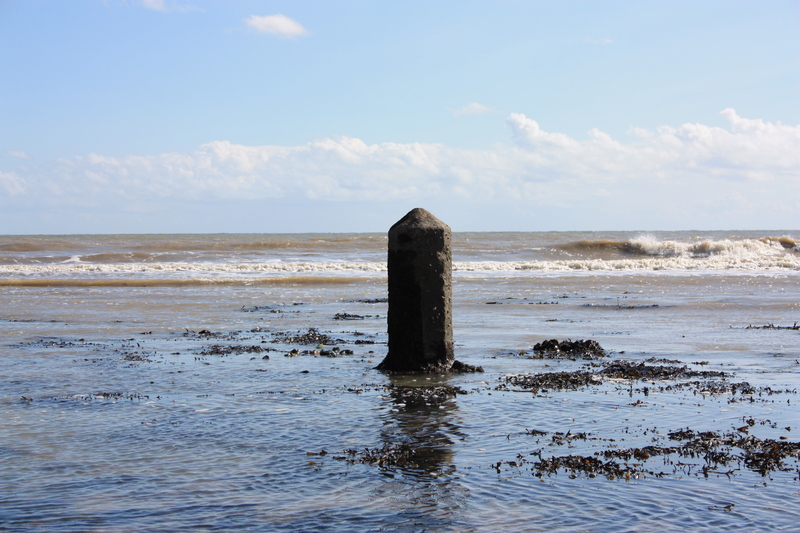 Further out to sea was a strange little stone post, close to the breaking waves and completely on its own. There was no inscription on it, but its smooth corners suggested that it had been there for many years. I think this was a “snubbing post” which barges used when loading tar and coke here a long time ago. 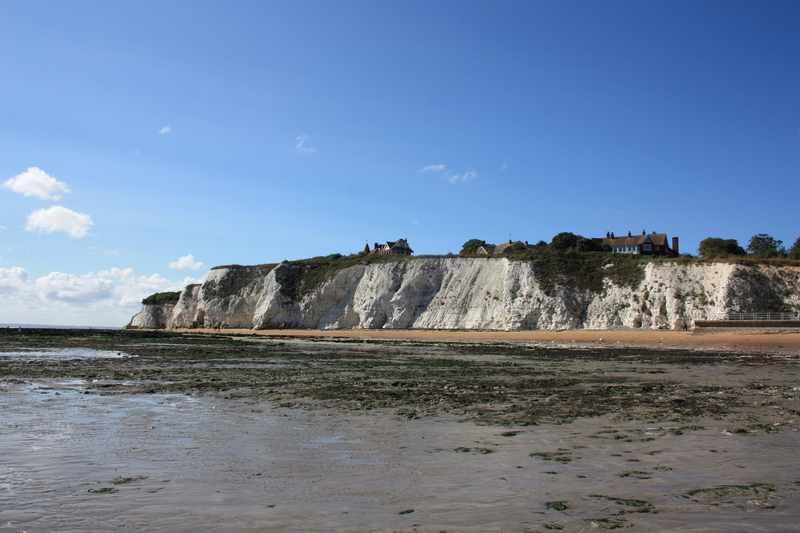 As we approached Ramsgate, we stopped beachcombing and came in closer to the cliffs. Here we found the “Great Wall of Ramsgate”. This is rather a grand name for what is actually just a hoarding around a building site where luxury flats are being developed. At first glance it looked to me to be little more than something of passing interest, designed to make a temporary hoarding slightly more attractive. How wrong could I have been? 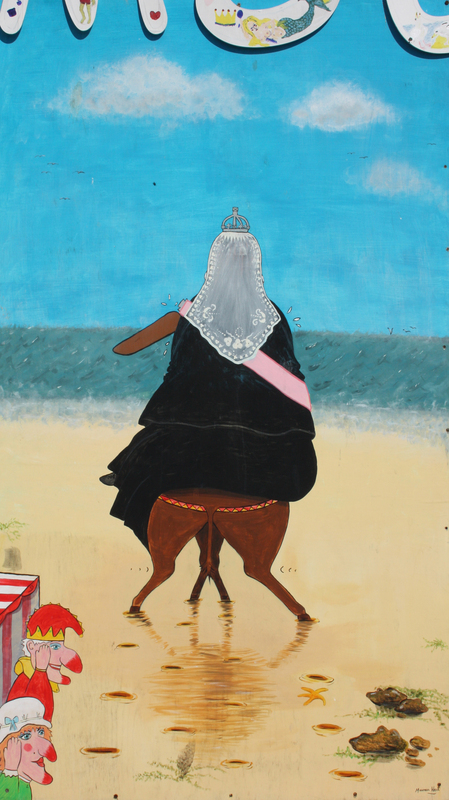 We didn’t count all of the paintings, but they were many and varied. Some of the paintings were colourful and dramatic. Some of the paintings were altogether more calm. Some were of places we had already passed. Compare this picture of Dumpton Gap with the first picture I happened to take for this post. This place has been on our horizon for weeks. Some paintings were of places we have yet to reach (I think we’ll see this on our next walk). Some seemed to defy the laws of gravity – surely the sea should drain away to the left of this picture? 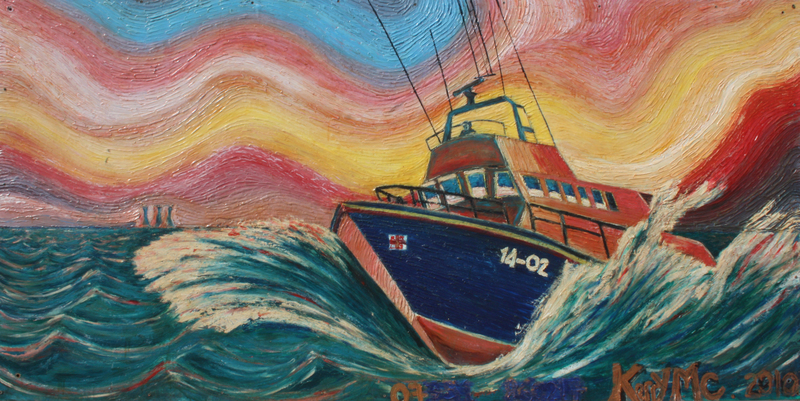 (This painting is of Ramsgate harbour. We arrived there later in the day and every photo I took seemed to be slanting one way or another, so in fact this picture is quite accurate!). Some were lighthearted and amusing. Some were asking for trouble. The Queen flashing a bit of thigh? Many of the paintings are by local artists. Some of these local artists are school children. 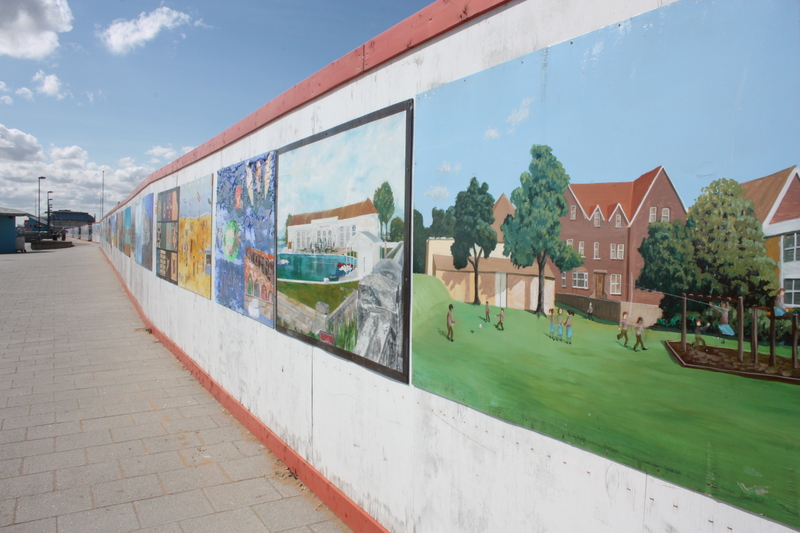 There are over 100 paintings which line the walls of this building site. It is sad to think that the hoarding will, when the development is complete, be removed. 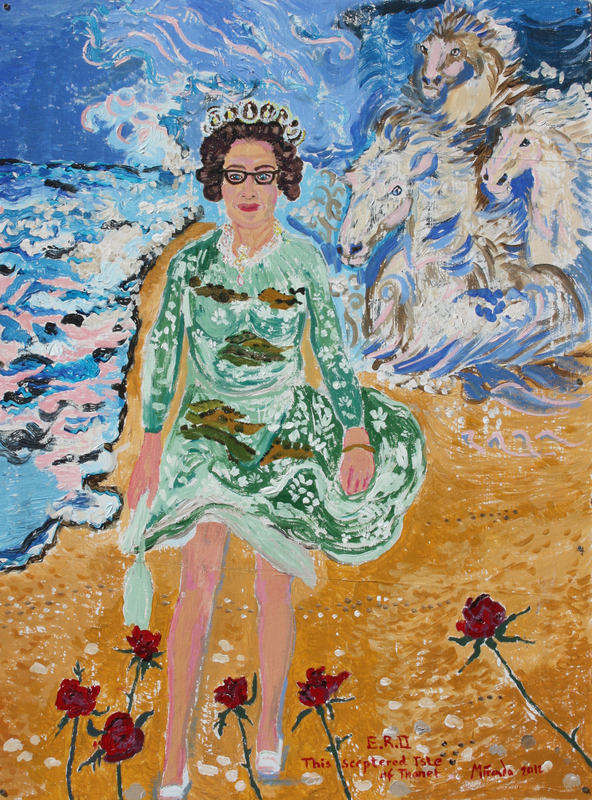 I hope these paintings will be kept and moved to a gallery, and then added to. If Margate can build the Turner Contemporary then surely Ramsgate can rise to the call. 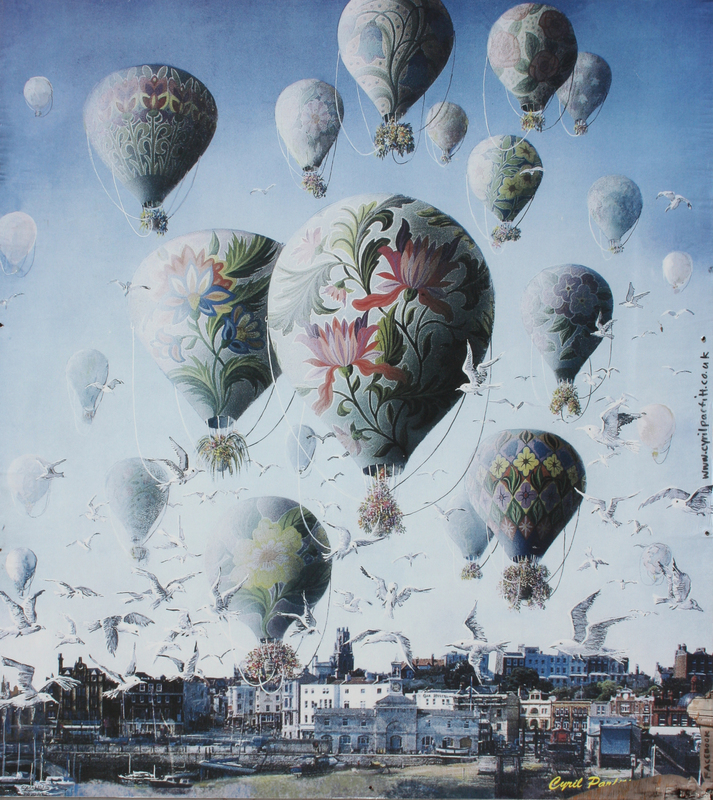 This entry was posted in Kent and tagged art, coast, Dumpton Gap, Great Wall of Ramsgate, Kent, limpet, paintings, Ramsgate, travel, walking. Bookmark the permalink. Wonderful post! I really enjoyed your commentary and the great photos. Love the limpets, too!